One thing I wanted to do in 2017 was read more. I love reading and the feeling of never wanting to put a book down, but constantly find other things like trawling through social media getting in the way. When Christmas came around and I was gifted with a couple of new books for my collection, I decided to start one straight away, rather than save them for a summer holiday like I normally do. The first read of the new year has been completed already, and I’m actually really proud of myself! I’m hoping I can keep it up throughout the coming months, and maybe aim for 12 books for the year. 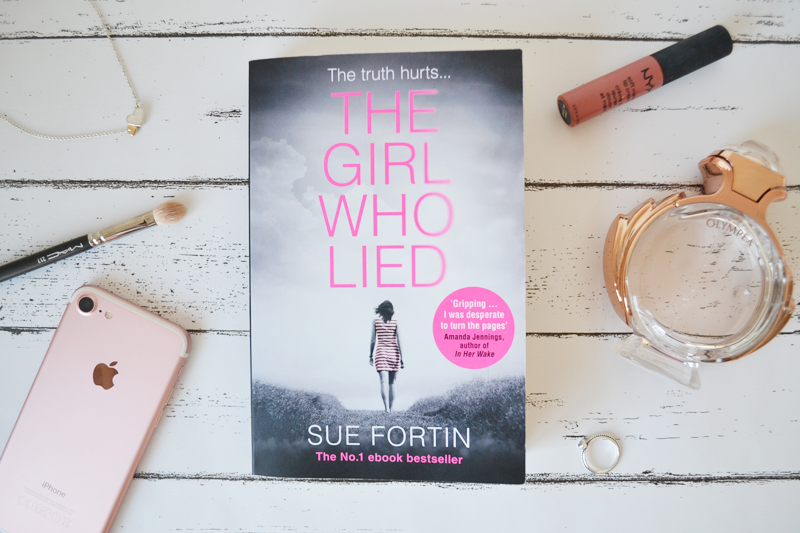 The Girl Who Lied by Sue Fortin is about a young woman called Erin, who when she was young moved out of her quite close-knit village in Ireland, to the big city of London. She’s always believed that she hated home, but when her dad has an accident putting him in Hospital, she finds that’s not necessarily the case anymore. Throughout the story we discover a secret about Erin that is perhaps the reason she hates her old village so much, and the secret could soon come out. Although labelled as a thriller, it’s certainly a ‘softer’ thriller of those I’ve read although that doesn’t detract from it at all. I really enjoyed this book, I am a big lover of thrillers, and books with lots of twists which this certainly has. At the same time, I do love a romance book from time to time, and what I loved about this book was that it had a story of romance alongside it too. It mixed the two genres perfectly and kept me hooked! Have you given this book a read? Do you have any suggestions for what I could read next?